Open a browser and go to 192.168.1.1 (default UN/PW is admin/admin). Click manage gateway on the top right. Then Click WAN Service and hit edit beside the existing service. 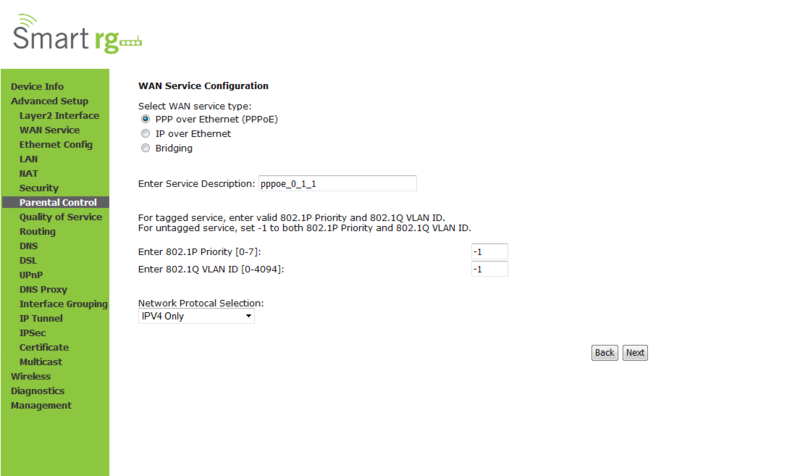 The SmartRG will default out of the box into the optimal PPPoE VDSL setup. After you hit edit, it will bring you to this screen below. It is defaulted to the PPPoE settings. Click next. 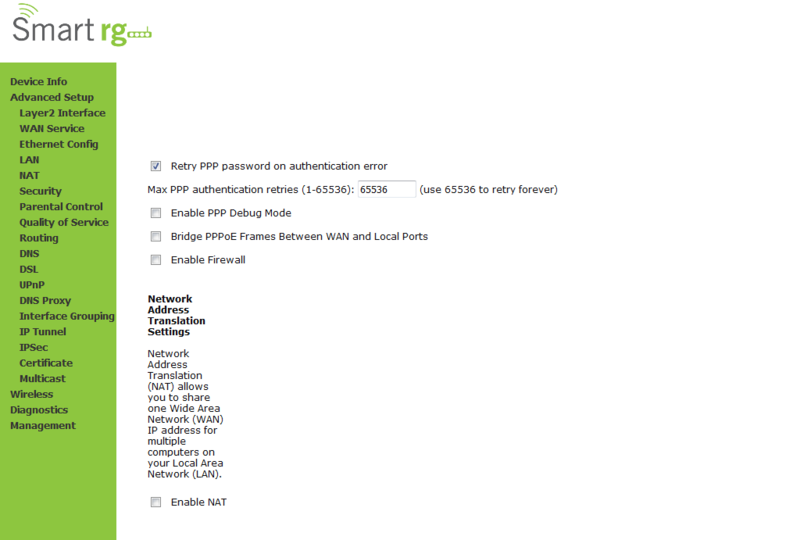 Enter the PPPoE username and password and click Next. Click next through the next series of screens. The only change you may need to make will be DNS setting should you want to use your own DNS servers instead of the server assigned DNS. We do not recommend changing this. 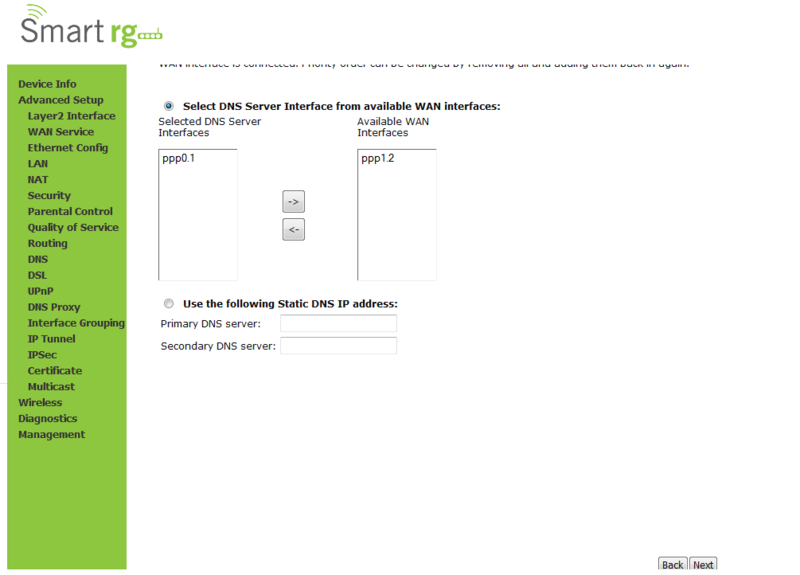 Enter custom DNS here (screen below). Leave as is if you are not setting your own DNS and click Next. To set the Wireless, click Wireless on the left hand and it defaults to the basic screen. Set the desired SSID name and click Apply/Save. 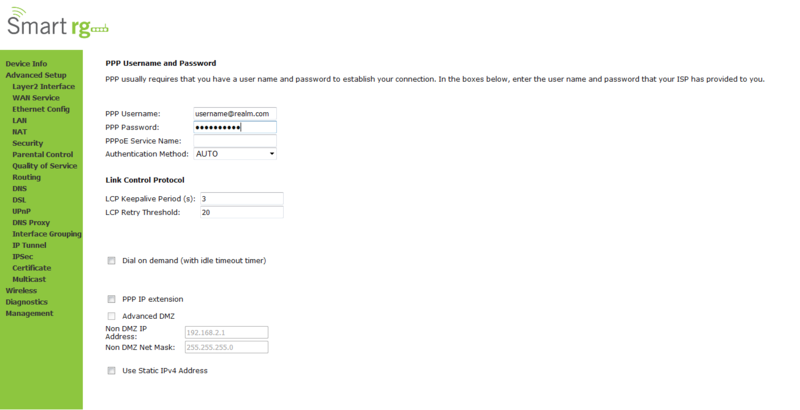 Then click Security to change the default SSID password and authentication methods. Once done click Apply/Save. Then Click management, choose reboot and click Reboot. Will take approximately 2 minutes to reboot. Here you can also create a backup of your settings to be used in future should you need to reload your config. Running settings are the setting you just made. 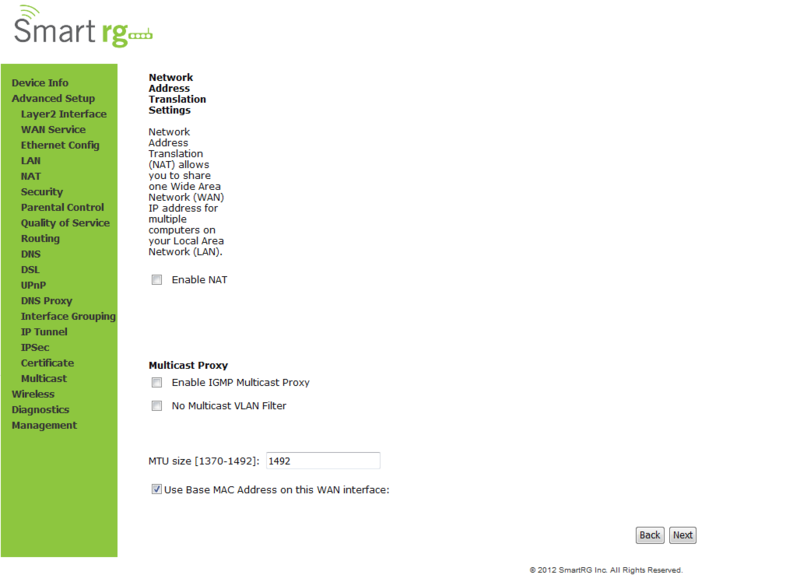 Default settings are the routers default config.